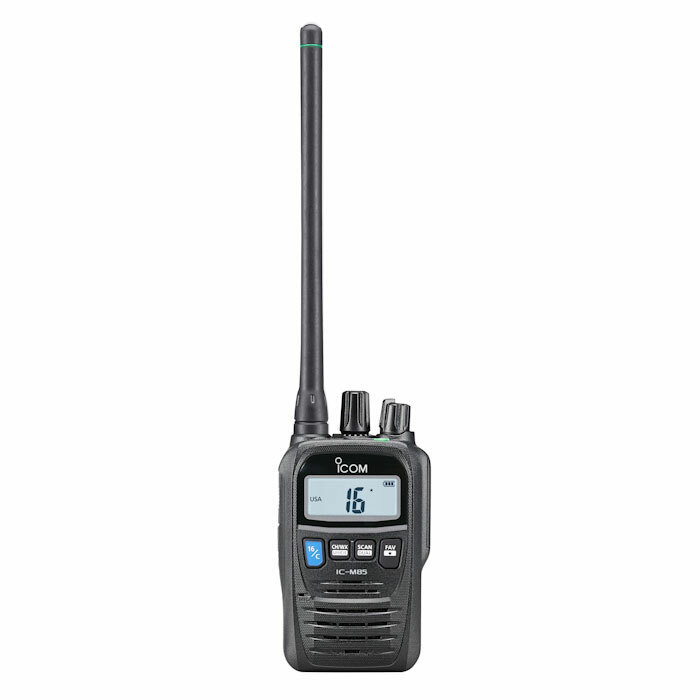 Dimensions: 2.2" x 3.6" x 1.1"
The Icom M85 Handheld VHF radio is small, light, and can withstand various environments at sea and on land. It is built to MIL-STD 810 and has an IP67 rating for waterproofness and dust incursion. Yacht and commercial customers like the M85 because of the 100 programmable land mobile channels, as well as the easy-to-use, built-in voice scrambler for private communications. The M85 is full of the features you need, including an automated emergency alarm, and supports many optional accessories such as headsets for hands free operation.